OklaHomeSeller.com Has a New Look! Posted by Rob Schaerer on Tuesday, October 18th, 2011 at 12:31pm. Are you looking for a home in a very specific area? 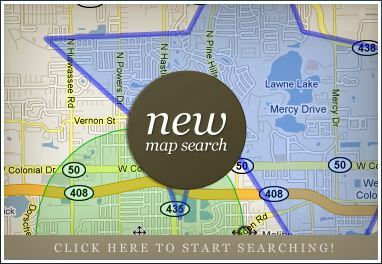 You have seen searches that will show you the listings on a map. This takes it one step further and lets you draw a custom area, either a specified distance from a location or draw a free-form box (see example in the picture to the right) that is either as simple or complex as you would like it to be & my website will show you only properties that are inside the area you specify! Looking for homes within 1 mile of you childs school or your work? OklaHomeSeller.com has you covered! Just want to quickly search in a particular city? Check out the quick search! This will let you select the core amenities and then fine tune the results! 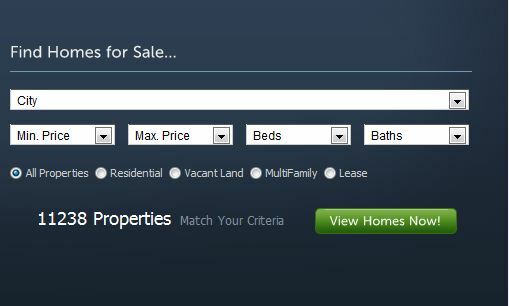 Selecting 3 beds will search all of the homes with 3+ beds, and selecting 1 bath will search everything with 1+ bathrooms. Quickly find what you are looking for! 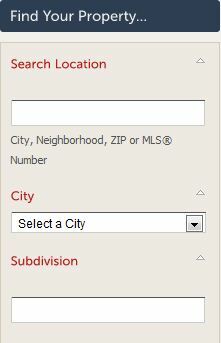 Want to look in a particular subdivision, city, zip code or want to see a particular MLS #? Just type it in the first blank - it doesn't get much easier than that! Want to search multiple areas? Just separate them with commas! 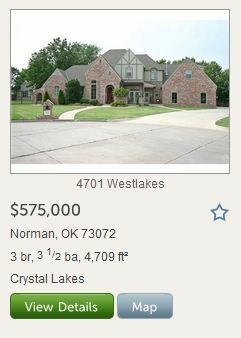 For example, if you want to search for homes in Brookhaven, and Carrington Place or maybe in both Moore and Norman -- Just type in "Carrington Place,Brookhaven" for the first example and "Moore,Norman" in the second, select the other amenities and you're off and running! Quickly see the information and front picture of the property without having to click on the detail view to get a large picture! It will show you the basic amenities, price, plus the subdivision and gives you a quick way to see it on a map without having to go any further! Like a property that you have seen? Save it for later by clicking on the star to save it as one of your favorites so you can quickly refer back to it! 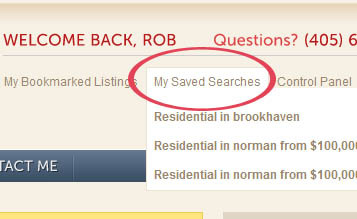 Not only can you search for properties on OklaHomeSeller.com, but you can also save your search to be notified daily, weekly or monthly when new listings become available! Want to view the search change the search criteria? Just log back in with your e-mail address and click on 'My Saved Searches,' then simply click on the search you want to view or modify! Now go get started with your home search, and please let me know if you have any questions! I am always just a click, text, or phone call away!